GameHouse loves to tell stories and has a unique way of telling them - through casual games. For over a decade, GameHouse has built games that delight fans through fun gameplay and compelling stories. They are dedicated to enriching lives through games and experiences that people love to play and share. GameHouse games are available as mobile apps and at several websites as well. “In 2016, we decided to focus more on developing mobile games. Microservices were the way to go for our core technology and a container set-up seemed ideal for us. We did a lot of research into Docker, Docker Swarm, Kubernetes, Amazon and Google Cloud. 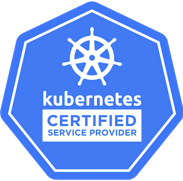 After a year of testing different solutions, we decided that Kubernetes was the best fit. AWS was the most logical platform, as we were already using it. We made good progress setting up our new environment and were convinced that we had chosen the right solution for our microservices architecture, but we were not satisfied with the level of reliability and scaling that we had achieved. Sometimes we experienced what we called ‘magical issues’ that were resolved by restarting containers. We were determined to upgrade our environment and harden it for true production service quality and reliability.” – Sander Agricola, Lead Developer, GameHouse Technology. Kumina built a new Kubernetes cluster in AWS for GameHouse from scratch. As Kubernetes allows for self-service, GameHouse does not need to consult with Kumina for each and every change. The advanced development pipeline created by GameHouse is used to automatically deploy microservices, first to a staging environment and then, after a full QA round, to the production environment. These deployments happen without downtime, by making full use of the capabilities of Kubernetes to support updates. This process takes place without involvement from Kumina, although we do provide guidance and assistance as needed. “If we compare our old set-up to the new set-up that Kumina implemented, it is much better than what we had, so that’s a big plus. Of course, we still sometimes have issues, but now we know what’s happening and why it’s happening. Our ‘magic issues’ are gone and they are not ‘magic’ anymore. The team always investigates and finds the underlying problem in a short time. They really want to understand what’s happening so it won’t happen again, instead of fighting the same fires all the time. We really appreciate this. It feels like the Kumina team are colleagues sitting in the room next to us, we can easily ask ‘hi, can you do this?’ Using Slack is also a part of that, it has a really low barrier and we like this option. Communicating this way makes it feel like Kumina is part of our team, it does not feel like working with an outsourcing vendor at all.” – Sander Agricola, Lead Developer, GameHouse Technology.